Fermented Wheat Germ Extract: What Cells Make Up Your Immune System? When you’re looking for ways to improve your immune system and help to improve your overall health, it helps to understand how the immune system works. The immune system is a complex network in the body made up of different mechanisms and cell types all working together in order to destroy cellular invaders. There are many different ways you can improve your immune system if you struggle with regular illnesses, including careful handwashing, exercise and natural supplementation, including seeing wheat germ benefits. Understanding how your immune system works and where it may be failing can help you to know what course of action will be best for you. 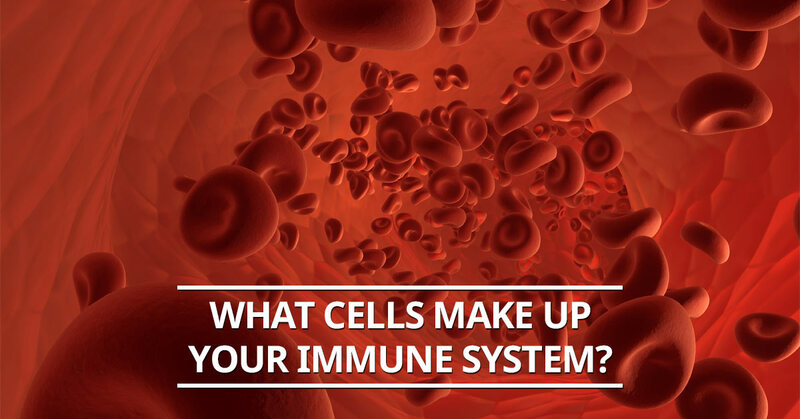 Keep reading to learn about the main types of cells found in your immune system. Leukocytes are a group of immune system cells most commonly know as white blood cells, however, there are more than one type of white blood cells. These cells are part of the innate immune system, which is the reactionary portion of the immune system. If there is an invader in the body, leukocytes go to work removing the invader cells. Two important leukocytes for identifying and destroying invader cells include natural killer cells and macrophages. Natural killer cells are a particular white blood cell type that patrols the body and identifies cellular invaders. What this means is that any cell that is normally found in the body can be invaded and made into a cell that the body no longer recognizes. It’s natural killer cells’ jobs to recognize these cells and destroy them. They’re a bit akin to secret agents who have to identify double agents, these being the healthy body cells that have been taken over. Macrophages are the counterpart to natural killer cells in the innate immune system. They’re akin to sentries on guard duty. These particular immune system cells identify and destroy cells that are blatantly foreign to your body. Macrophages make up a majority of white blood cells found in the body that are there to protect you. Lymphocytes are a special group of leukocytes that are associated with the adaptive immune system. The adaptive immune system doesn’t just find and destroy invading cells, but it helps to create an immunological memory so that if you’ve been sick once, your body will be able to fight the same invader faster if it happens again. The most common and important types of lymphocytes include T-cells, B-cells, and antibodies. There are several different types of T-cells that provide active immune functionality in the body. Different types of T-cells both identify and direct antibodies to invaders, as well as actually attack invaders themselves. Through a cell-mediated response, T-cells are able to provide protection to the body. Additionally, there are regulatory T-cells that act like an air traffic control tower and help to direct and modulate an appropriate immune response. B-cells are directly related with humoral immunity, which means that B-cells monitor the body fluids for invaders. These particular cells work in conjunction with T-cells and antibodies in order to create antibodies that recognizes specific antigens. These cells play a major role in creating your body’s natural immune response to repeat invaders and are also a reason that vaccines are able to work to protect you. 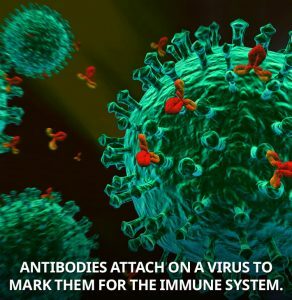 Antibodies are markers found in your body that help to identify invaders and give other immune system cells information on what cells are friendly and which are foes. These markers are created by B-cells and help to patrol your body, protecting you.